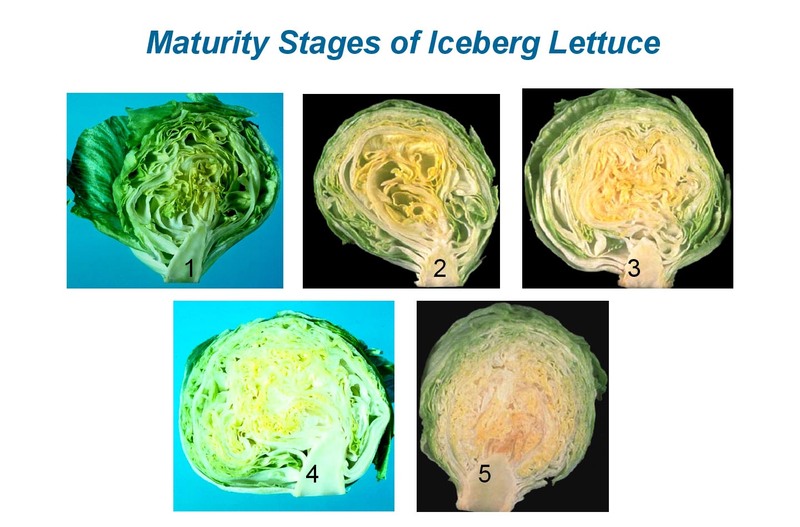 0°C (32°F) is required to optimize lettuce storage life. A shelf-life of 21-28 days can be expected at this temperature and RH. 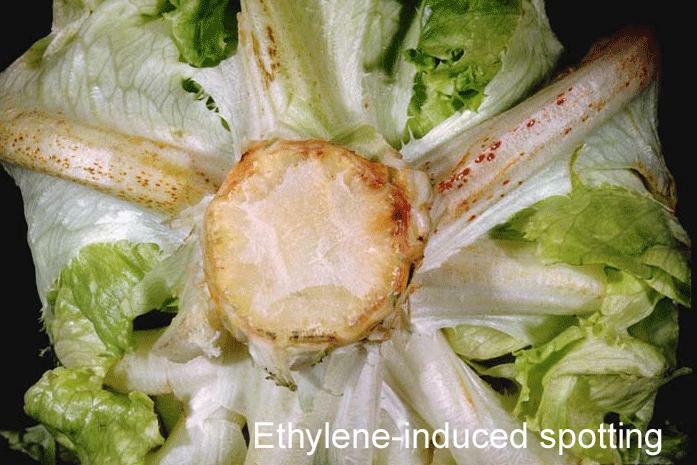 At 5°C (41°F) a shelf-life of 14 days can be expected as long as no ethylene is in the environment. 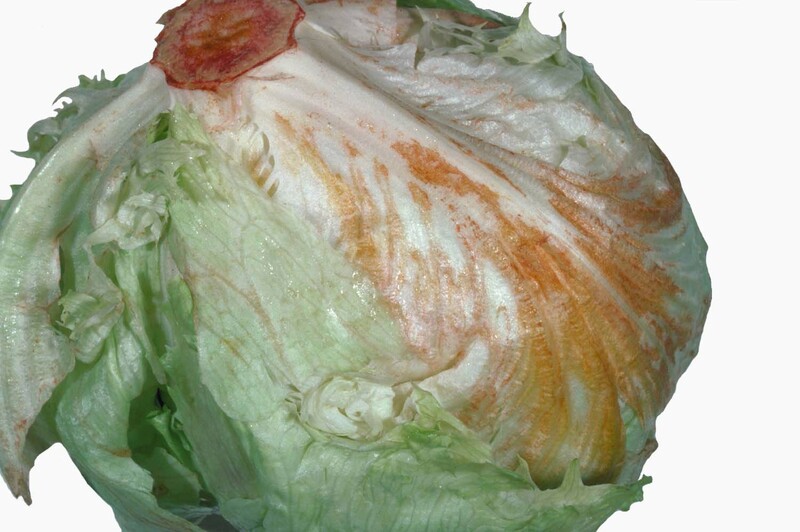 Vacuum cooling is usually used for iceberg lettuce, but forced-air cooling may also be used successfully. Freezing Injury. 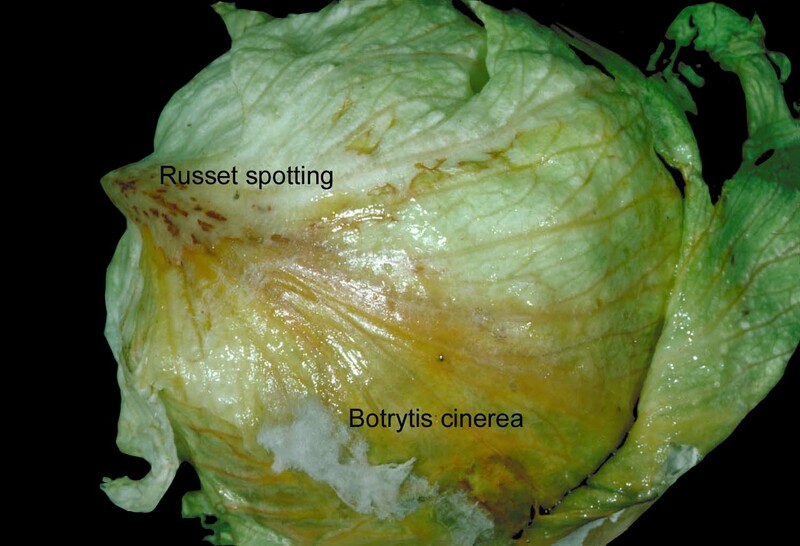 Freeze damage can occur in the field and cause separation of the epidermis from the leaf. 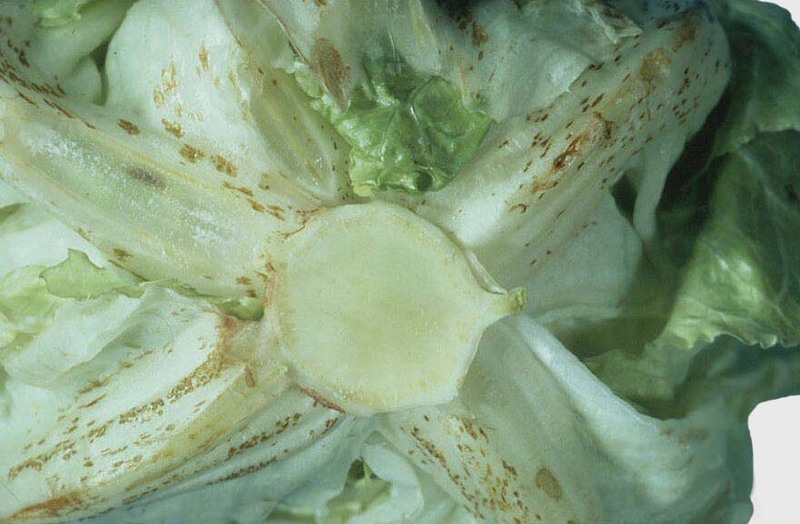 This weakens the leaf and leads to more rapid bacterial decay. 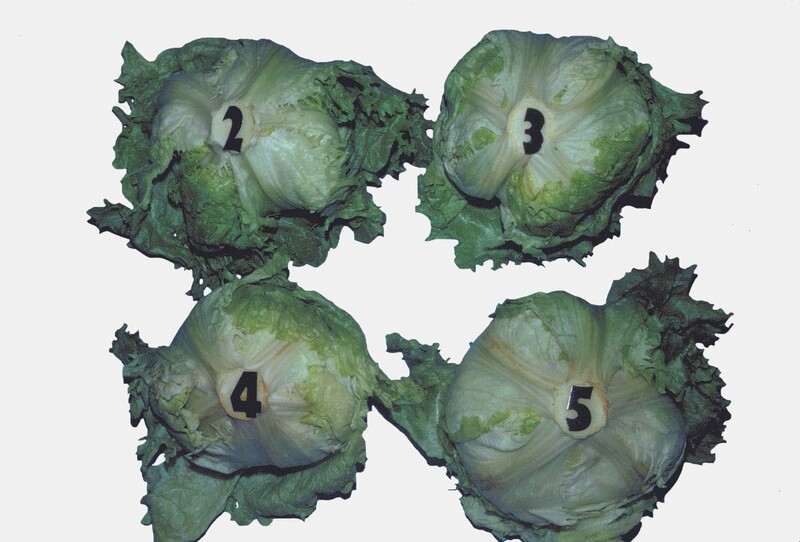 During storage, freeze damage can occur if the lettuce is stored at at <-0.2°C (31.7°F). 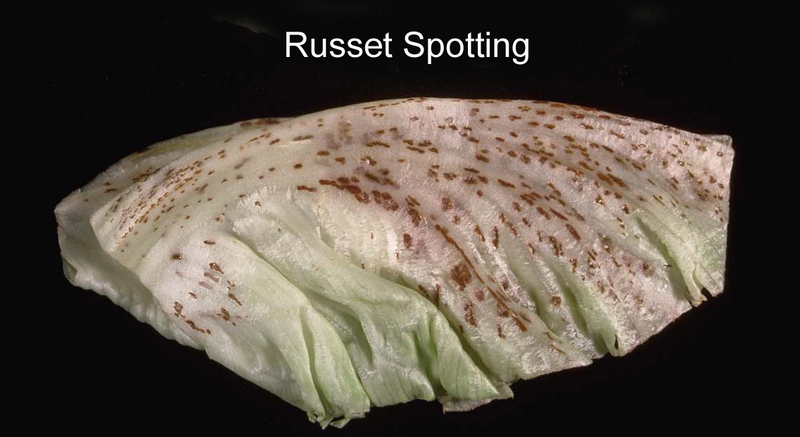 This appears as darkened translucent or water-soaked areas that will turn slimy and deteriorate rapidly after thawing. 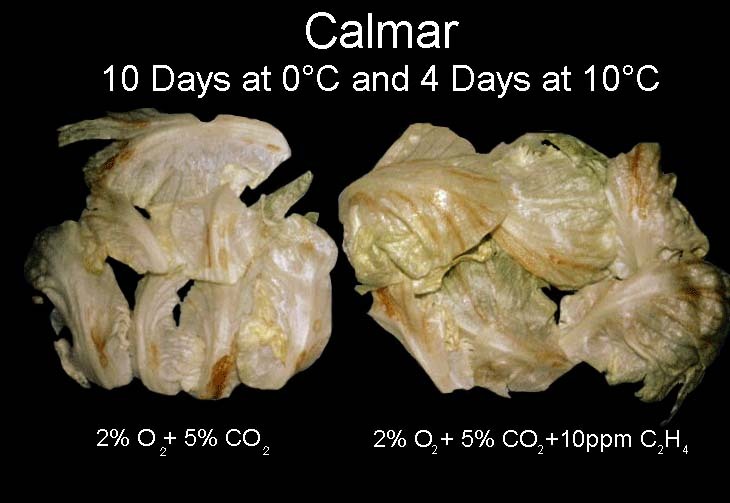 Some benefit to shelf-life can be obtained with low O2 atmospheres (1-3%) at temperatures of 0-5°C (32-41°F). Low O2 atmospheres will reduce respiration rates and reduce the detrimental effects of ethylene. Intact heads are not benefited by atmospheres containing CO2 and injury may occur with >2% CO2 (see Physiological Disorders, brown stain). 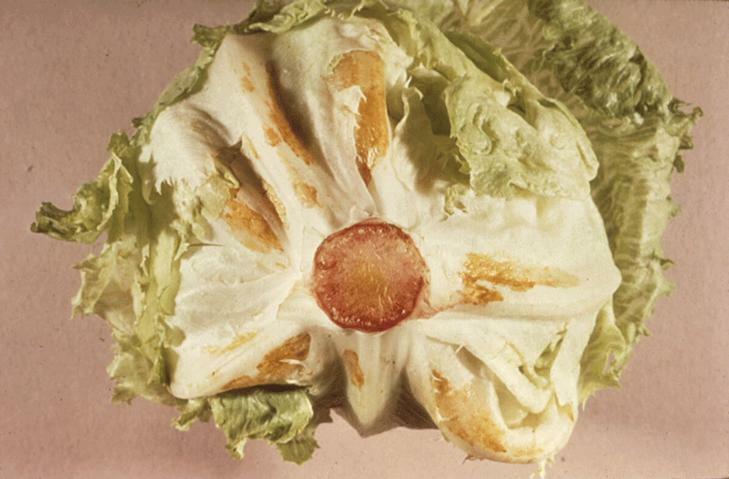 Lettuce cut for salad products, however, is commonly packaged in low O2 (<1%) and high CO2 (10%) atmospheres because these conditions control browning on the cut surfaces. 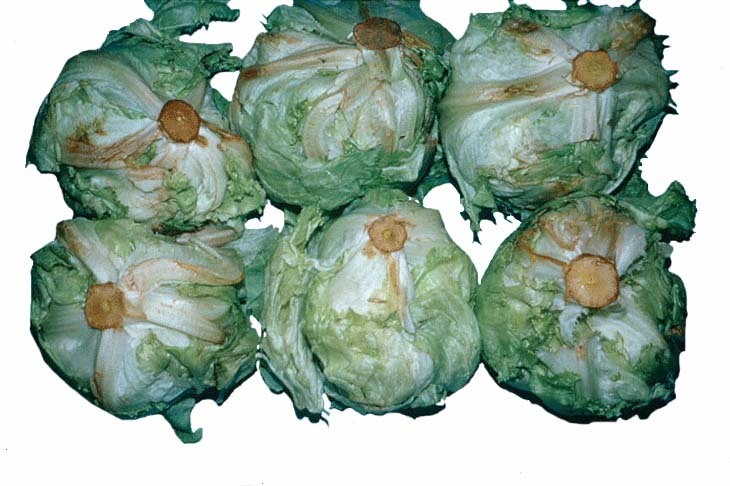 On salad pieces, cut surface browning occurs more rapidly and more extensively than do symptoms of brown stain caused by CO2.